In the 60’s the average Joe was introduced filmmaking thanks to the Hi-8 camera. There were no effects (unless you were completely methodical in your planning and willing to invest the time) and titles were created on felt message boards with plastic lettering. In the 80’s, with the advent of the VCR, VHS recorders afforded budding filmmakers the opportunity to create projects they could view on their TVs. Effects and titling were still minimal at best. Likewise, a market for lenses, tripod adapters and rigs, plus effects packages has blossomed. You can buy adapters to use DSLR lenses, but that feels like you’re defeating the beauty and the advantage of having such a mobile camera. The market has recognized this and responded. 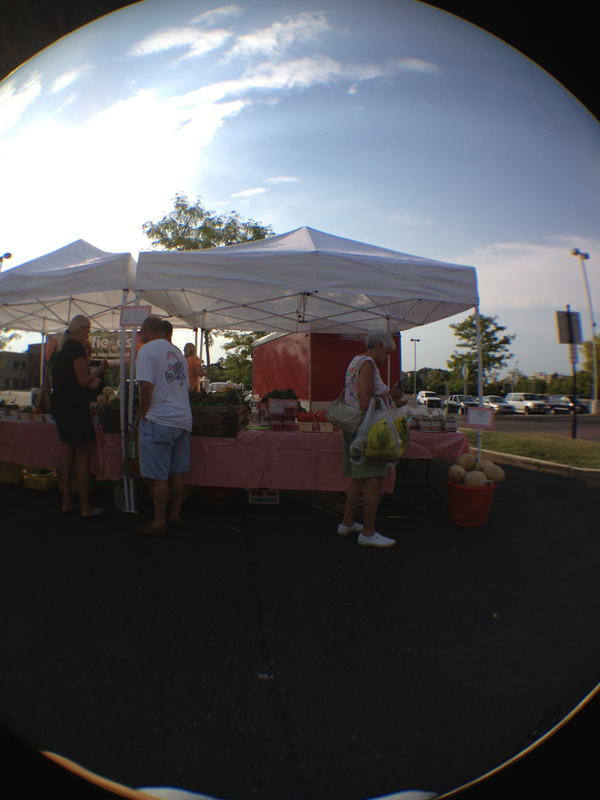 The ōlloclip is another entrant in the smartphone lensing market. Built slightly larger than your thumb, the ōlloclip is three different lenses in one ingeniously small package. 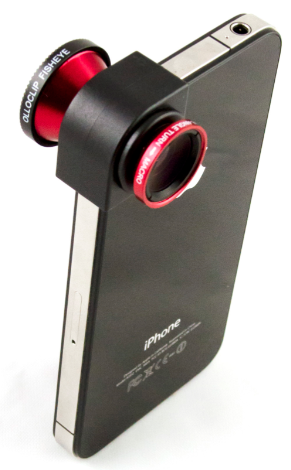 Attach it to your iPhone one way and you have a fish eye lens. Flip it over, attach it again and you have a wide angle lens. Unscrew that lens and you have a macro lens. Also included, two lens caps and a small cloth drawbag to carry it in. The pictures, as you can see, are sharp and crisp. 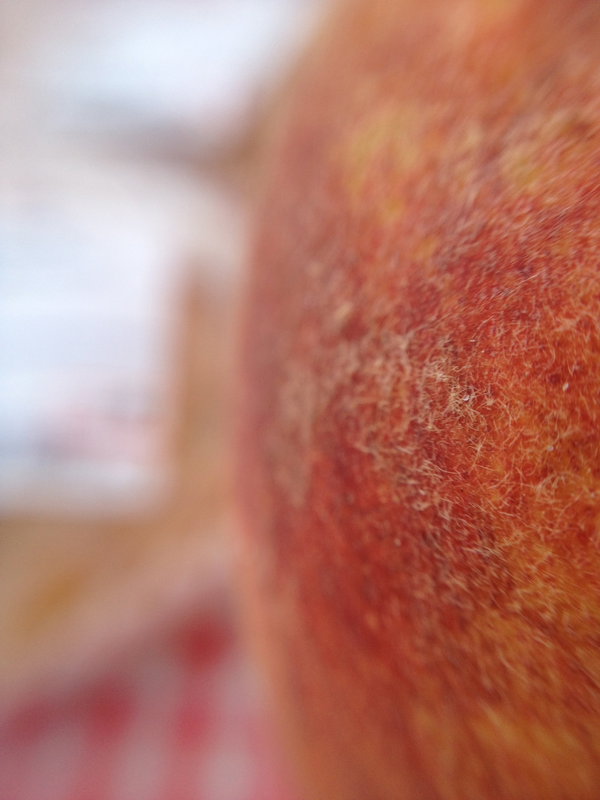 You’ll notice in the Macro shot, in particular, just how detailed the peach fuzz is. I didn’t take any video (an oversight on the part of your ever faithful boneheaded reviewer) but I have no reason to assume that the results would be any different. And the fact that to take all three photos consumed the better part of three minutes to shoot is testament to the ease of which you can switch between all three lenses. This would be extraordinarily handy for those surprise moments. My sole complaint would have to be its price. I suppose that you could make an argument for charging that much because there are three lenses, but each one is a fixed lens. In other words, no zooming. 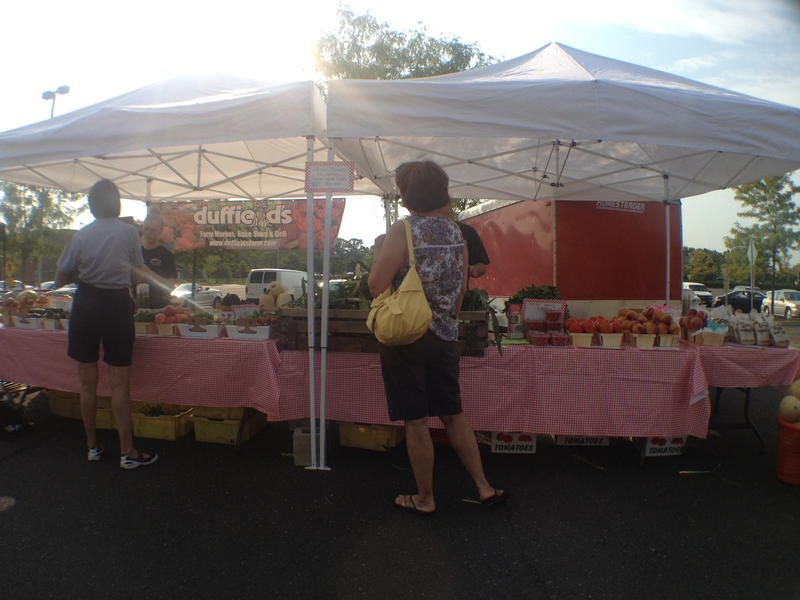 ōlloclip is a nice compact accessory to include in your bag of smartphone attachments. It’s design is very pragmatic and extremely simple to use. It takes but seconds to put in place, a major selling point. Is it worth the cost? That’s for you to decide. If your looking for only a few lenses to make your home videos look a bit more upscale, the ōlloclip should suit you fine. Now the scouting for locations commences in ernest. Or outside of my apartment,anyway. This entry was posted on Thursday, September 6th, 2012 at 8:36 pm	and tagged with gadgets, hardware, iPhone and posted in Reviews. You can follow any responses to this entry through the RSS 2.0 feed.